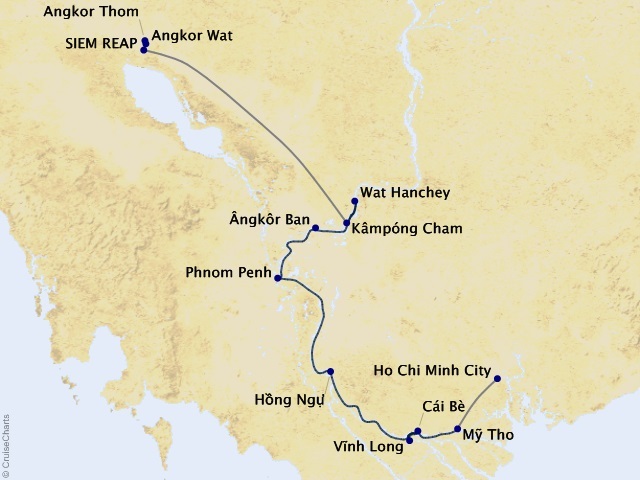 Departing from Siem Reap on November 12, 2020, prices starting at $5,499. Debuting on January 3, 2020, the Mekong Jewel will be the newest and most luxurious ship on the Mekong river. This all-suite Super Ship will include two dining venues: one main restaurant and an al fresco eatery on the upper deck. The Mekong Jewel will replace the Mekong Navigator and is being constructed with sustainable, eco-friendly materials, and will feature a swimming pool, spa, sauna and steam room, gym, hair salon, nail bar, two lounges and a library. *Note: Inclusive amenities may differ by itinerary.